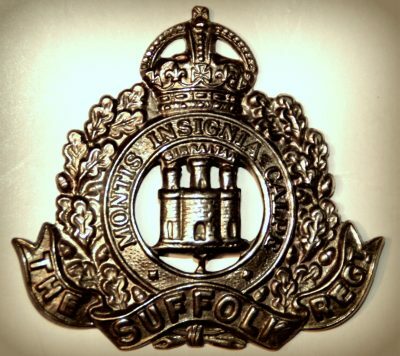 Died: 8th June 1916; age 22; Died of Pulmonary Phthisis – Ipswich. Relatives Notified & Relatives: Son of Eliza M. Godley (formerly Degenhard), of 10, Rosebery Road, Ipswich & the late Mr. Degenhard. 1901 8, Orwell Road, Ipswich. Theodore was 7 years old and living with his widowed mother & brothers. Eliza Martha Degenhard (nee Harvey), 29, Wards Women Infirmary, born Ipswich. Harry Harvey Degenhard, 5, born Ipswich. William Ewart Degenhard, 2, born Ipswich. boarder – William John Godley, 36, a Carpenter, born Harwich, Essex. 1911 111, Orwell Road, Ipswich. Theodore was 17 years old, a Foundry Worker – Moulding Works. He was living with his mother, siblings, step father & step siblings. William Godley, 44, a Carpenter & Joiner. Paulina Martha Degenhard, 14, a Day Girl, born Ipswich. Rose Mary Godley, 8, born Ipswich. Dorothy May Godley, 7, born Ipswich. Violet Lilian Godley, 5, born Ipswich. Frank Joseph Godley, 3, born Ipswich. Frederick J. Godley, 9 months, born Ipswich. Theodore’s father was Theodore Degenhard, born 1867, Marylebone, London – died 1899, Ipswich. Theodore is also remembered on the Orwell Works Memorial Ransomes Sims & Jefferies Ipswich.